Atopos cvc is pleased to announce its participation in the exhibition ART NOUVEAU REVIVAL with a selection of 60′s Paper Dresses from the Atopos Paper Dress Collection. The dresses, which are exhibited with their original packaging, are a unique example of the art from that period, demonstrating the influences of Art Nouveau in fashion and graphic design that characterized the years between 1960 and 1970. Together with the exhibition, a 280-page fully illustrated catalogue was printed, which contains two pages on the Atopos 60′s paper dresses. 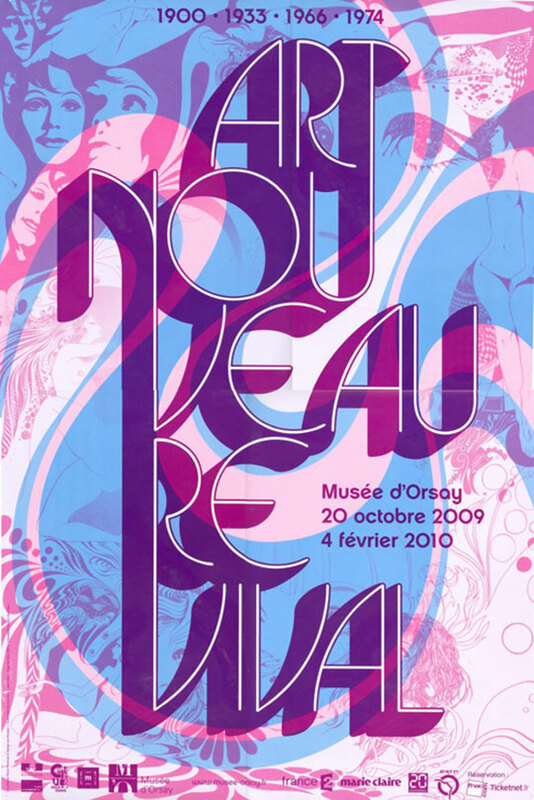 Although forgotten and discredited for many decades, Art Nouveau was revived in the 60s in a way that affected the history of art and the art market as much as contemporary creative work (design and graphics). There were many reasons for this revival: tributes paid by the Surrealists in the 1930s, the Organic Design in Home Furnishings competition organized by the MoMA in 1940 and major exhibitions in New York and in Paris, to name just a few. The exhibition aims at highlighting the influence of Art Nouveau in varied and sometimes unexpected areas, such as furnishings, fashion, advertising, films and psychedelic aesthetics. Curated by Philippe Thiébaut, the exhibition includes works by Antoni Gaudí, Salvador Dalí, Man Ray, Brassaï, Alvar Aalto, Charles and Ray Eames, Verner Panton, Victor Moscoso, Emille Galle, Carlo Mollino and Isamu Noguchi among others.